The time it takes for your request to move through the network to the web server. The time it takes for the web server to process the request and generate the response. The time it takes for the response to move back through the network to your browser. 1Check out the MOZ article on improving search ranking by optimizing TTFB. You can see TTFB on the old host was 3.53 seconds. WP Engine’s is 0.11 seconds. That’s a huge improvement, 97% less time. MOZ says ideally you should be under 1/2 second for TTFB – WP Engine meets that benchmark easily. So yes – good hosting does make a difference! 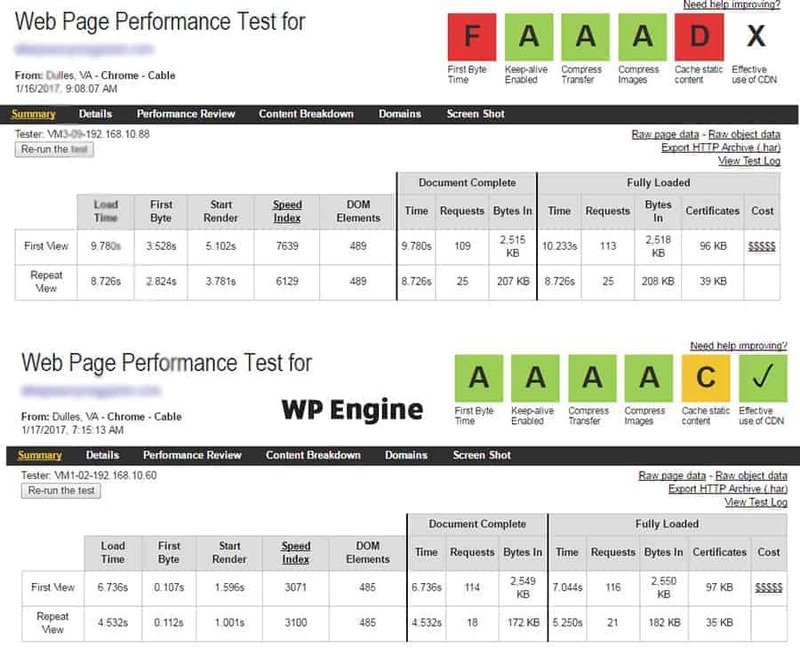 Check out our site care plans including WP Engine hosting.